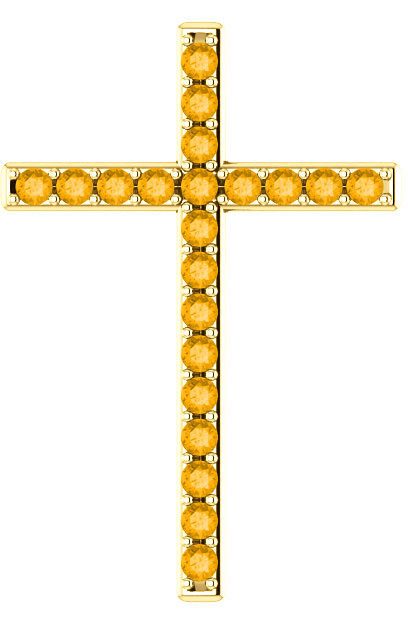 A genuine citrine cross pendant in yellow gold inspired by a Psalm of David: " The LORD is my light and my salvation; whom shall I fear? the LORD is the strength of my life; of whom shall I be afraid?" (27:1). Wear this gorgeous genuine citrine gemstone pendant as a daily symbolic commeration that Jesus Christ is your light and your salvation forever. 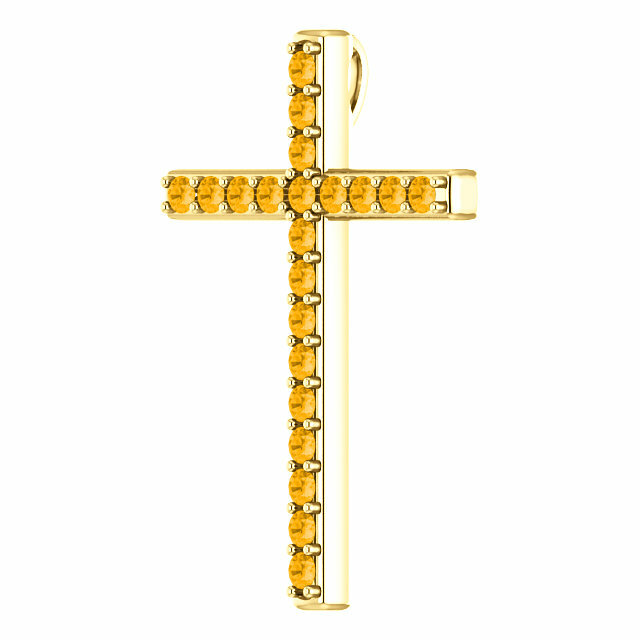 The cross pendant is crafted in your choice of 10k, 14k, or 18k yellow gold and set with 21 "AA" quality authentic citrine gemstones. A hidden bale/hoop concealed behind the gold of the pendant fits a chain necklace which you can optionally add or purchase the cross pendant on its own and wear it with any gold necklace of your own. The pendant measures 1.25" tall x 0.85" wide. Also available in 14k white gold or sterling silver (shown below). From Christian-owned jewelry company, Apples of Gold Jewelry. 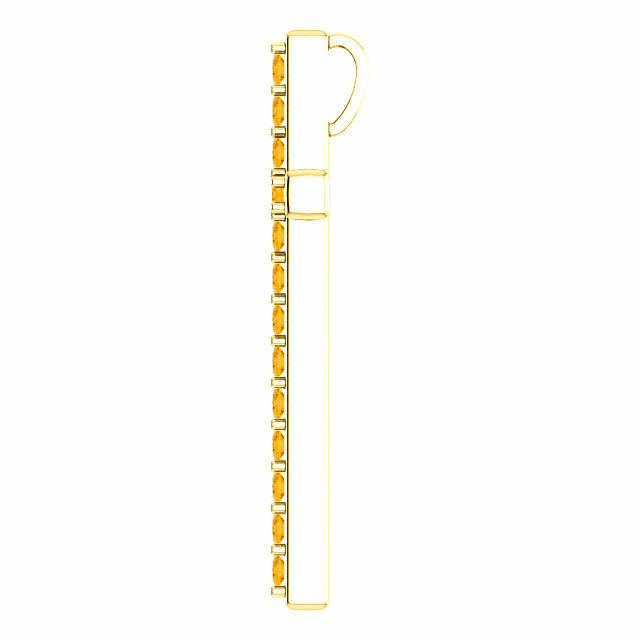 We guarantee our My Light and My Salvation Citrine Gold Cross Pendant to be high quality, authentic jewelry, as described above.